Christi Dufour: CAN YOU TELL ME ABOUT YOUR EXHIBITION AT RONEWA ART GALLERY AND HOW YOU WORKED WITH THE SPACE AS PART OF THE CONCEPT? 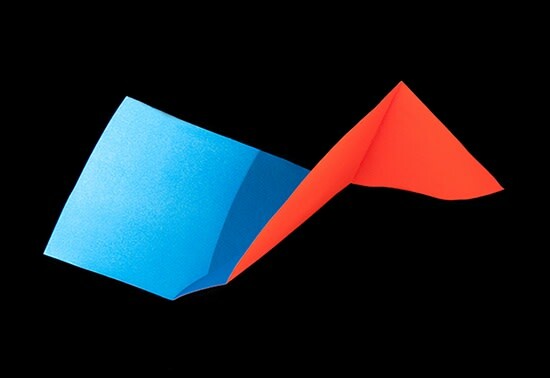 Tashi Brauen: “Bending Forms” at Ronewa Art Projects will be my first exhibition in Berlin. I was introduced to Roger Washington, founder and director of Ronewa Art Projects, by Christine Schraner Burgener, the current Swiss Ambassador to Germany. For Ronewa Art Gallery, I wanted to combine and mix my photographic prints with new installation reliefs. The space is very conducive to mixing my interest in scale and viewer interaction – reaction. There is an intimacy created by being pulled in closely to look at the prints contrasted with being fully surrounded and confronted by the massive reliefs filling the room. I also played with scale and framing using room size and doorways. It was tempting to see how big I could really go. In the end, the two installations and their massive, solid and bold appearance hold the finely framed prints with a type of bracketing to experience these very different artworks inside one space. Figuration n.2, 2017, Archival print on Hahnemühle Baryta paper, 46 x 31.5 cm. CD: THIS EXHIBITION COMBINES A COLLECTION OF PHOTOGRAPHIC PRINTS AND INSTALLATION RELIEFS. WHAT IS YOUR PROCESS FOR EACH MEDIUM? HOW DO THEY DIFFER? 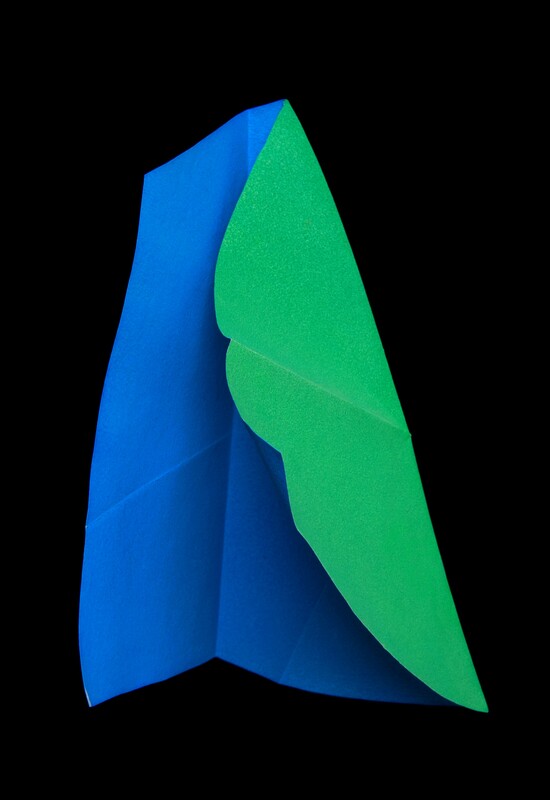 TB: I started to use photography as a documentation of my painted and folded paper artworks. Although my intention was to work tri-dimensionally, I found myself turning back towards photography and its appeal of the objects as they went from tri-dimensional to flat. Photography involves the creation of so many images, sorting through them and finally, choosing. It’s the importance of selection. The reliefs lie somewhere in between prints, painting and sculpture; perception and movement; flat and 3D. And the process is totally different. It is created onsite with all preparation and planning done beforehand. I know what I’m going to do as soon as I arrive. 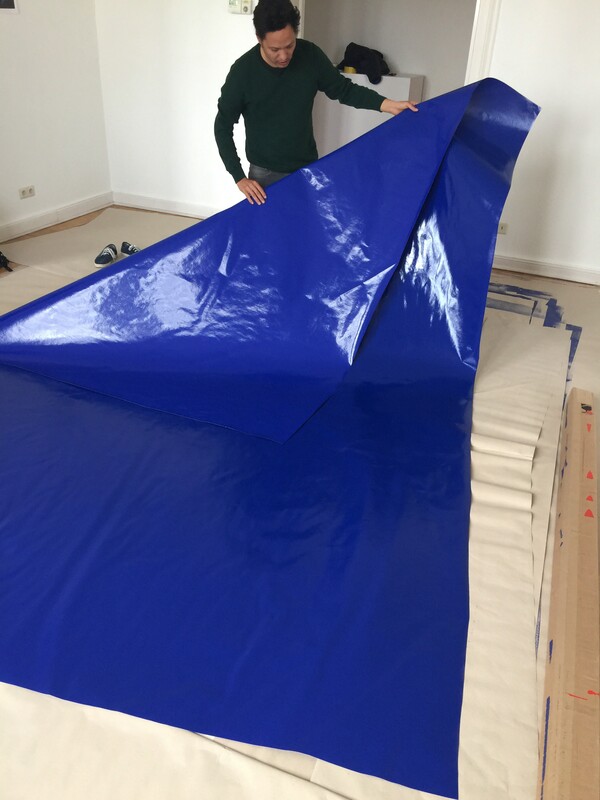 The paper is first painted on the floor and some basic folds are created, then the majority of the work is done once it’s moved onto the wall where, over a period of time – sometimes even days, I shape it into the end form. It’s a real pleasure where the act of painting and installing is immediate, even performative with an active exploration linking body movement and haptic perception. CD: WERE THERE ANY SURPRISES OR REVELATIONS THAT CAME FROM MAKING THESE ONSITE INSTALLATIONS? TB: Paper is fragile and many things happen by accident, whether it comes from shaping or transporting. It’s very important and interesting to use and integrate these mistakes. Failures are chances to transform, revisit, learn more about integrating them, and how it can be the motor to influence and go a step further. Another interesting development is working together with the collector or gallerist to shape the relief. Creating the artwork in their space, a natural relationship develops and also enhances my connection to the piece. Relief n.3, 2017, Mixed media, 235 x 355 cm. CD: CAN YOU TELL ME WHAT COLORS MEAN TO YOU AND HOW YOU SELECT THEM? TB: This exhibition is the first time I chose colors for the reliefs in combination with the photos. Until now, the concept has been to use colors as I find them – to simply paint the object. I use red and blue but there is no reference or representation. The act of choosing has been more interesting than mixing. Just recently, a friend gave me a Japanese book full of unusual color combos and in Berlin, I found a great paint supplier to mix any color. This opens up a new area to experiment with colors and combinations that I would never have imagined putting together. Figuration n.4, 2017, Archival print on Hahnemühle Baryta paper, 46 x 31.5 cm. CD: I'M CURIOUS TO KNOW IF YOUR MIXED HERITAGE OF SWISS AND TIBETAN HAS INFLUENCED YOUR WORK? 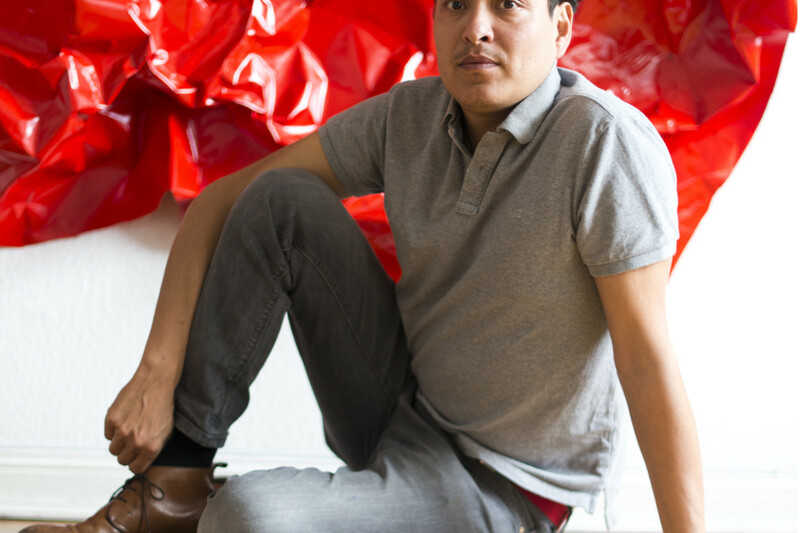 TB: Of course, my bicultural heritage has influenced who I am but as it relates to my art - not directly. I can't point out something as being Tibetan or Swiss. There might be subconscious influences like the red clothing of my Grandmother, who is a Tibetan nun but it could also be the red of Switzerland. I think more influential is my education and environment. Even friends with similar Tibetan backgrounds tell me they see a very Swiss style in my work. As a kid, our family travelled for years to Bhutan and Nepal for my Father's work, so immersing myself in different environments is fast and very easy. It's a great advantage to be able to float across these cultural borders while still remaining independent of social constrictions. This upbringing definitely gave me a love of traveling, working in different countries and this year I'm looking forward to a residency in Shanghai. CD: IT SEEMS LIKE YOU ARE CONTINUOUSLY CREATING WORK WITH NEW PROJECTS, EXHIBITIONS, RESIDENCIES AND ARE ALSO COFOUNDER OF COUNTER SPACE. HOW DO YOU COMBINE AND BALANCE WORK WITH "OFF TIME"? HAS BECOMING A FATHER INFLUENCED YOUR PROCESS? TB: It's very tempting to constantly stay in the flow of creating work and diving into new projects but for me it's important to have breaks to develop, recharge and relax. Having a family has given me a greater sense of discipline and appreciation of where I am at any given moment, whether that's working in the studio, in residency, sharing with friends or walking in the forest together with my son. CD: I'D LIKE TO ASK ONE MORE QUESTION ABOUT YOUR DREAMS: IF YOU COULD DO ANY PROJECT, WITH NO RESTRICTIONS ON FUNDING, TIME, ETC. WHAT WOULD IT BE? TB: Tibet would be a very interesting art project to explore through traveling or even a residency. I have the side from my mother and grandmother, I speak Tibetan and there are Tibetan artists living in Tibet who are traditional painters as well as younger contemporary artists. It would be very interesting to see what is coming from them and overall, how this experience would change me and influence my work. Tashi’s exhibition, “Bending Forms”, will be on view at Ronewa Art Projects May 20 - June 10, 2017. A vernissage will be held on Friday May 19, 2017. 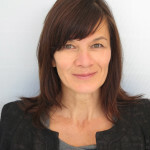 Christi Dufour is a writer and communications professional based in Switzerland. She directed artist residencies in India and Switzerland specialized in combining creative process with contemplative practice. She studied Fine Arts Photography at UC Berkley and worked as Communications Officer for the United Nations and the Swiss Federal Office of Communications. Using her diverse background in arts, technology, sports and public policy, she enjoys reaching out and interviewing passionate people of all sorts. I love the confidence and clarity that oozes out of this interview. The questions seem to get at the very heart of not only the artistic practice, but the practice of being an artist. Wow, makes me want to see the work again! Interesting and insightful interview. As an artist and writer myself, it's great to read about Tashi's thoughts and processes. Nice work, Christi!